I just got back from my 10 day trip to Italy with Josh. 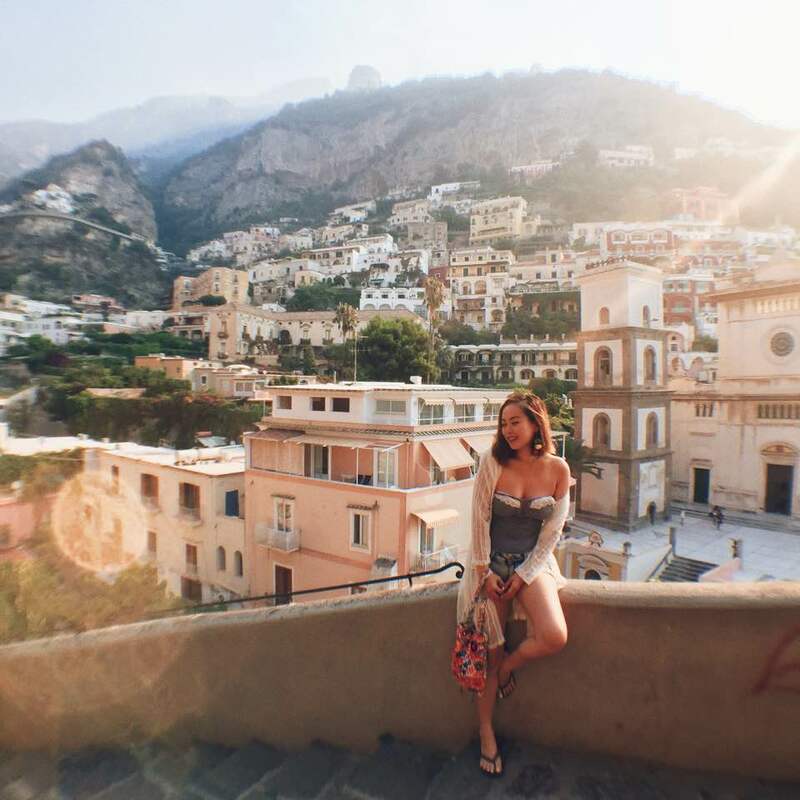 We visited Rome & Positano and did a day trip in Capri. We also visited Abu Dhabi on our 17hr transit and managed to see a little of the city too. 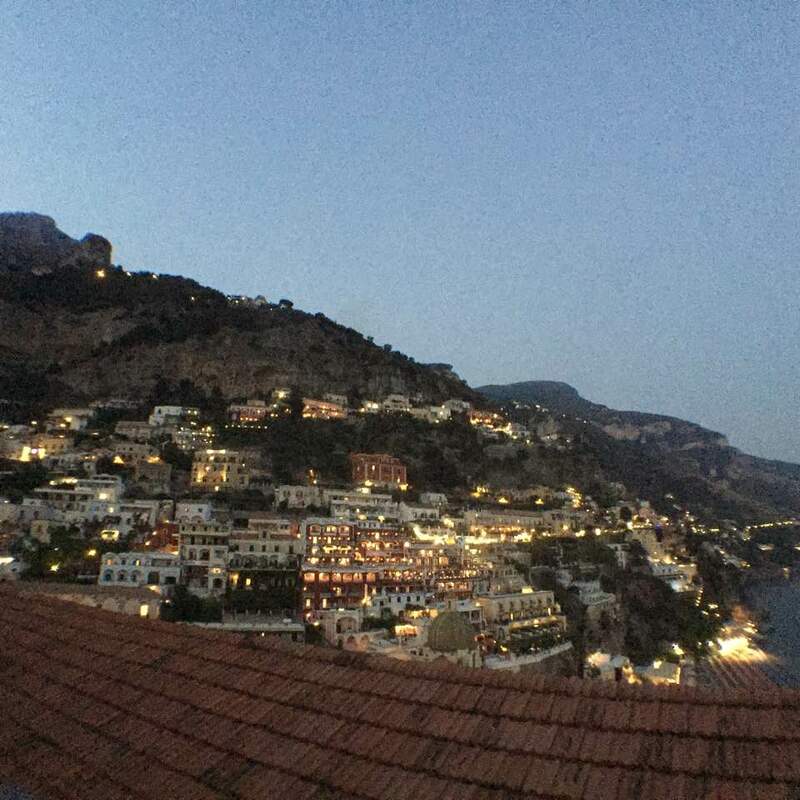 It was completely surreal, especially Positano. The town of my dreams... Doing my research on the place, I constantly read that this place was somewhere that people kept revisiting year after year. I didn't really get it because-- the world is so HUGE! I'd imagine myself wasting no time exploring every inch of this magnificent earth, choosing to leave pieces of my heart in all the different corners of the world once I have the chance, why would I want to go somewhere I've already been before? And then... I visited Positano. 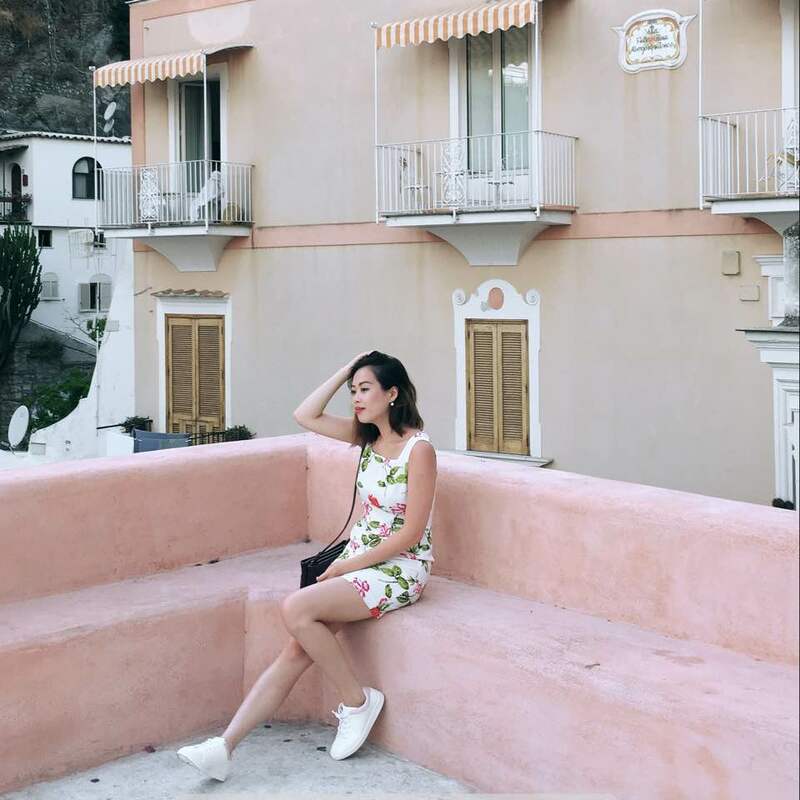 We took a boat to Positano and the waters were a stunning clear blue and the towns were all pastel and pretty. This was the view from our balcony... Waking up to this every day was just breathtaking. It really looks just like a dream. Right opposite us, the rich red coloured building with beautiful arched windows, is Le Sirenuse, the best & most fancy hotel in Positano. It's also about 4K USD a night. Haha. One day, one day! And come night fall, the sun sets and the twinkling lights come on. Another dreamy picture. We spent one night sitting on our balcony with takeaway paninis, in our PJs, watching the sun set and just being with each other. It was perfect! 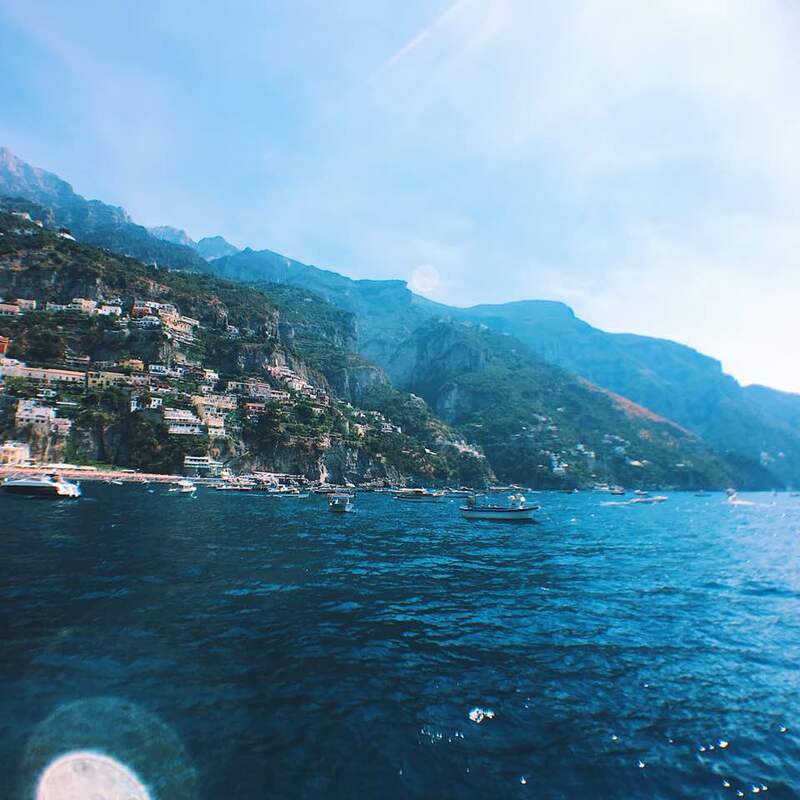 We took a boat to Capri to see the Blue Grotto and the island itself. Waking up early meant having the town to myself! 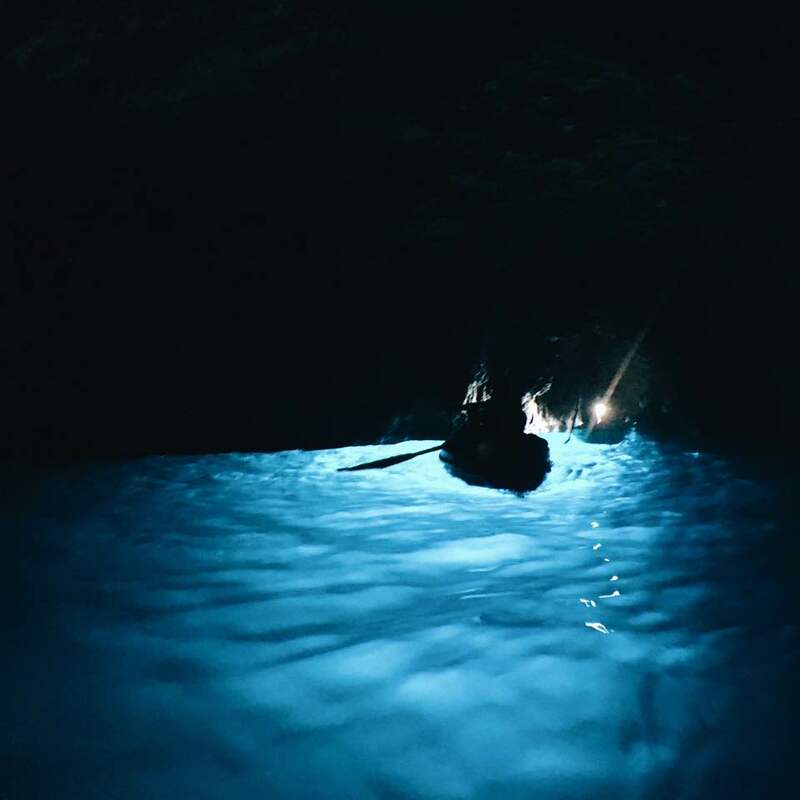 If anyone has been to the Blue Grotto before, did you like it? Basically you sit in a little boat and following the rhythm of the waves, you lie down flat and enter a tiny opening to the Grotto. THAT'S how close it is. It's like I had no use for adrenaline now. More of worrying if I'm about to die -- oh no this is what growing old feels like. Some of the angmohs were cheering and hooting as the waves crashed on the rocks. I was almost tearing and clutching on to Josh for dear life lol. I imagined Ariel singing 'Part of Your World' at this moment and it made me happy haha. Just made sure not to touch the water no matter how tempting 😬 I still thought I can swim around inside lor lol. 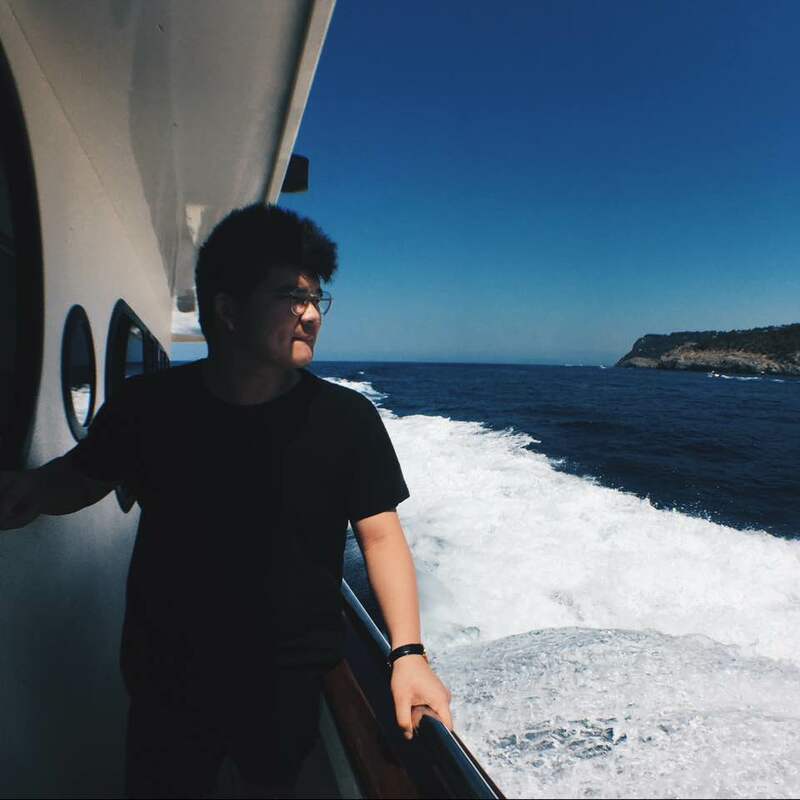 This picture was taken before reaching Capri. I bought these Pom pom earrings from one of the stores at the beachfront. They're my favorite buy this trip! 🤓 Usually I'm not one to lay in the sun, but I soon found myself fast asleep -- for a good hour! on the deck chair. It's so good to sleep in the sun!!! Is this how cats feel!!! 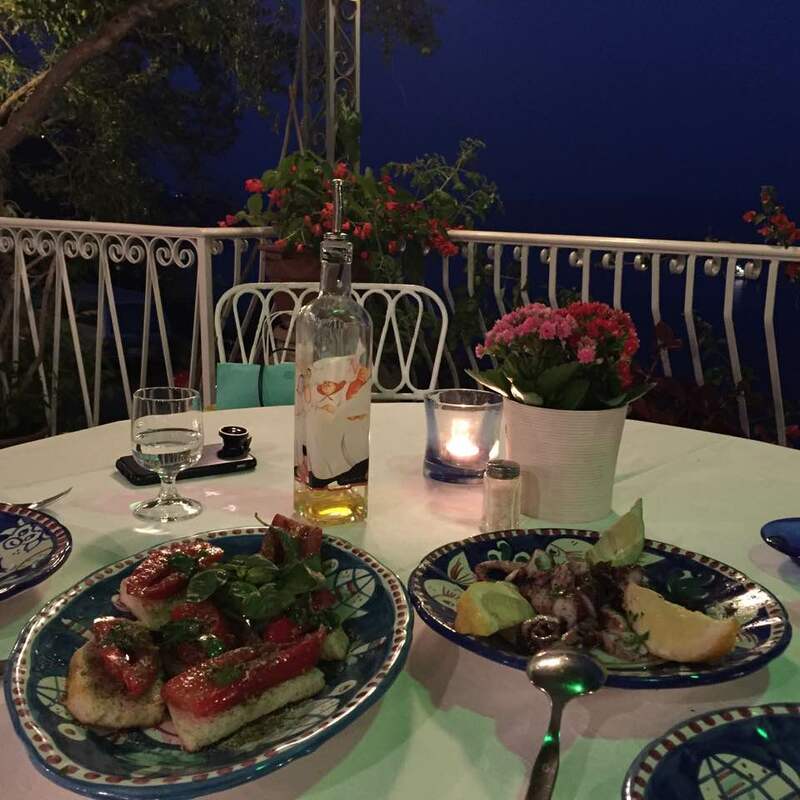 We did end up having dinner at Le Sirenuse on our last night, but honestly it was nothing to shout about. On the contrary, we loved this traditional Italian place by the sea so much more. Family run and graciously hospitable, we felt so taken care of and every bite was sincere and authentic. 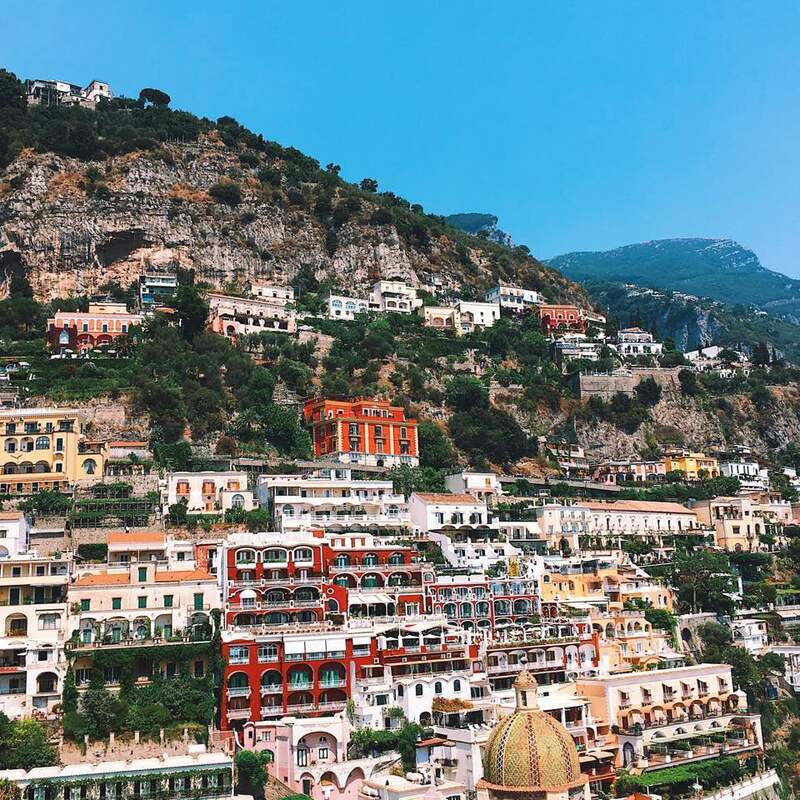 Everywhere in Positano is picture perfect. Even the unassuming corners are photogenic. & I'm so happy with all the photos we took this trip after having done some serious mind mapping on the outfits I'd be wearing for each occasion! It's because we were walking so much every damn day... Climbing up and down steps, exercising even more than in Singapore hahahahaha. I know all the photos you see are of me and me only!!! It's not (just) that I'm very hiao, but also that Josh is quite camera shy and doesn't like to pose for things haha. Hehe but I always sneak my shots of this qt!!! To end things off on a sweet note, the time I spent with Josh in this little romantic town made everything so intimate and we grew so much closer. I'm so happy to have found such a good travel partner in a boyfriend. We saw so much more to each other while traveling/living together and we now understand each other even better! If you briefly skimmed through this post of ramblings, just do yourself a favour & at least watch this! 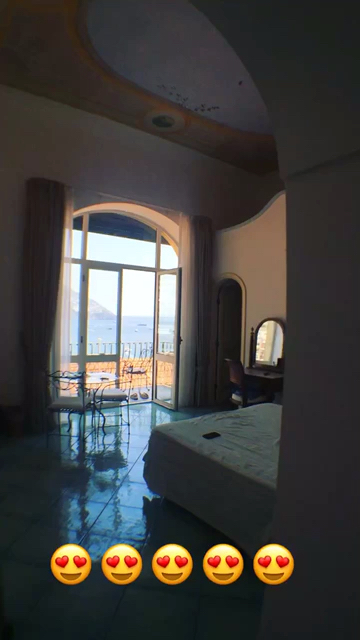 It's a short room tour of our suite in Positano. My heart still flutters after rewatching it! sandydandy You HOTTIE!! Ahh love everything in this post! The pastel houses and the room overlooking the town and of course you lookin so fab!! fresaquivi I didn't enjoy Rome all that much (went in dec when it was coldish and dreary!) but omg I need another Italy trip for postiano!! poridge Hello Jaime! 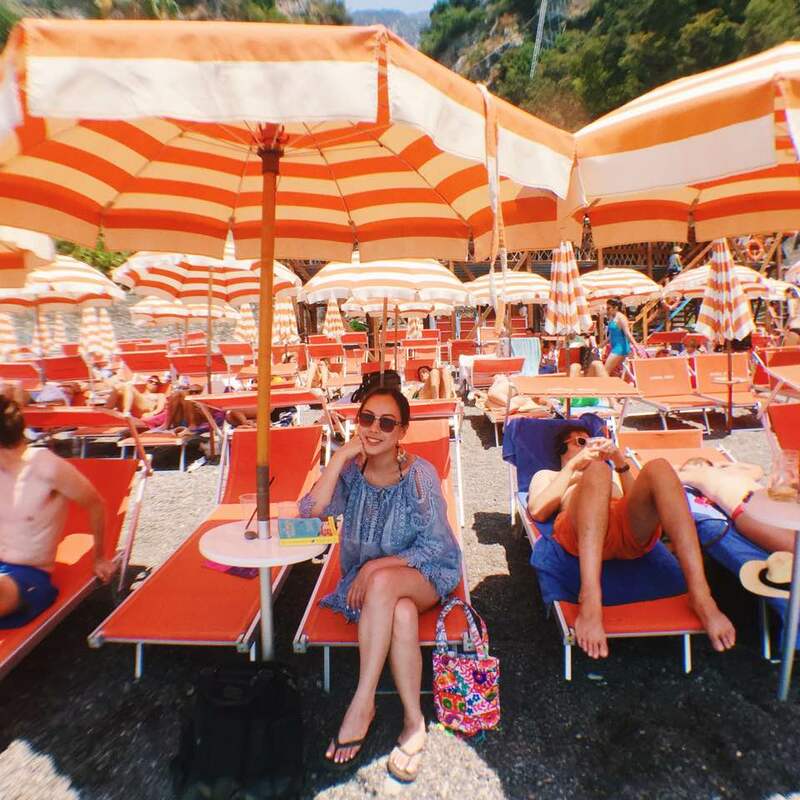 I Love all your ootds in positano! 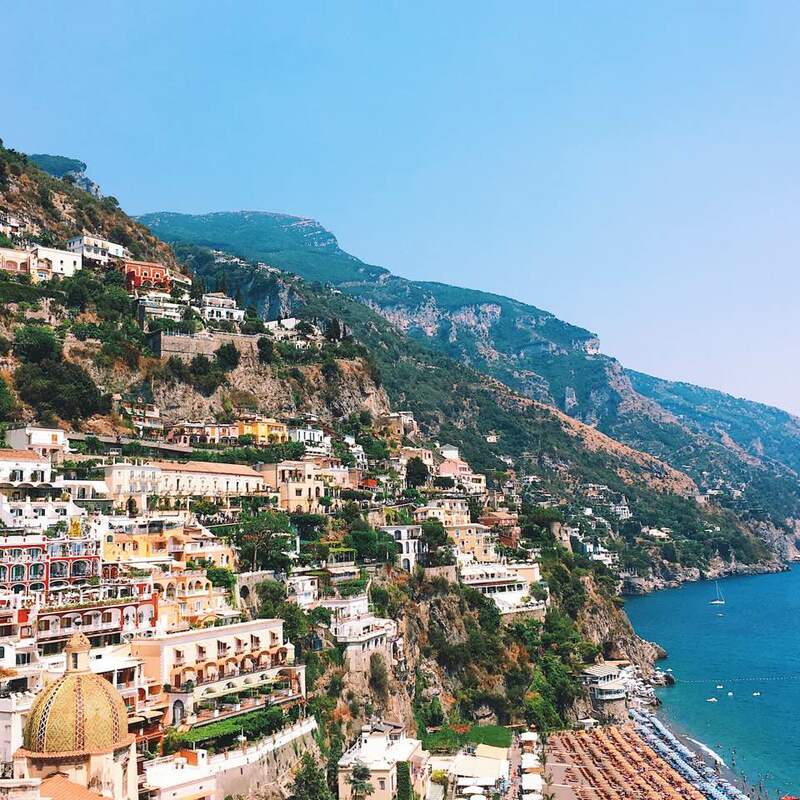 can you please share with me how did you get to positano from Naples airport and which hotel you stayed? I'm going there in September so your recommendations would be greatly useful!!! Thanks in advance! onegirlonepot @poridge Hi! 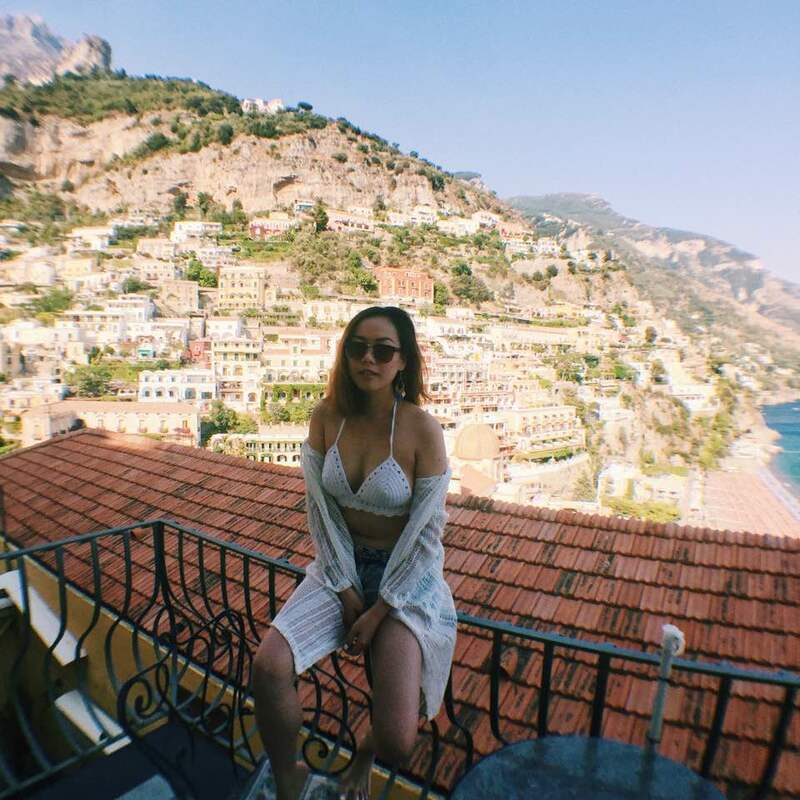 I took a train to Salerno and then took a ferry to Positano!